Children's devotions are designed to inspire kids and get them to think about applying Scripture to their everyday lives. The change from summer into winter is an exciting time, and full of inspiration and opportunities for teaching kids about God with fall devotions. Autumn is a favorite season of many, with its beautiful display of colors and the Thanksgiving holiday. It also offers plenty of opportunities to teach children insights from God's word. Activity: Have the children gather leaves of different colors before sharing this devotion. When you gather together, let the children show and talk about their collections. Ask them why trees have leaves. Accept all reasonable answers, and explain that leaves may be small, but they are part of God's plan for the world. When God created the world, he separated the water from dry land, created trees and other vegetation, and the following day he created the sun and moon. Trees had all they needed to grow and reproduce: soil, water, and sun. Their leaves used the sunlight to change water and carbon dioxide into oxygen and to make glucose. Oxygen would be needed for the animals and humans when they were created, and glucose provided energy for the trees to grow. This process is known as photosynthesis and chlorophyll is a chemical that helps it happen. Chlorophyll gives plants their green color. Look at the leaves you've collected. Are they green? No, and this is part of God's plan, too. The first day of summer is the longest day of the year, and has the most sunlight. As the season changes from summer into autumn, the days grow shorter and shorter. God created the trees to work with the sun, and when the days offer less sunlight, the trees know it is time to get ready for winter. In winter, there isn't enough sun for photosynthesis. That means the trees don't need their leaves to make glucose in winter. Instead, they enjoy a time of rest and live off the energy they've stored. When this happens, the supply of chlorophyll that makes leaves green stops, and leaves change to colors like those you've collected. Something to Think About: Leaves are part of God's plan for a healthy world. Activity: For the week (or month) of Thanksgiving, have the children write down things they are thankful for on slips of paper. These thankful slips can be collected in a box like a suggestion box and stored until you share this autumn devotional. Open the box following the devotion and share what is written with the entire group. Something to Think About: Thanksgiving Day is a day that is set aside to be grateful but God's word says that thanksgiving is more than a day. It is supposed to be an attitude. Activity: Ask the children for ideas of ways they can show kindness to others. Make a list on a whiteboard. Create categories for family, friends, and other people here and around the world. Encourage everyone to share, and accept all reasonable answers. People during biblical times understood the importance of a good harvest. Back then, people didn't have a grocery store nearby where they could buy food. Instead, they grew crops that provided food and clothing. It wasn't just one season, but took hard work throughout the year. The spring harvest yielded crops like barley. This harvest time was celebrated during Passover. After another seven weeks, it was time for the wheat harvest, and this was celebrated with the Feast of Pentecost. The autumn harvest was celebrated for seven days with the Feast of Tabernacles. In the New Testament, God says His children produce a harvest of good deeds for God. This too takes hard work and planning. Something to Think About: You can plant seeds of kindness by doing helpful things for others. This means acts of kindness without expecting anything in return. The ideas you provided are just a handful of things you can do. These seeds of kindness produce a harvest of good deeds for God. 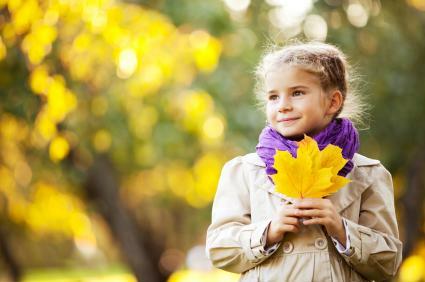 Autumn devotions for kids remind them of God's mighty hand as they see the leaves change color or they gather around the table on Thanksgiving. The Crayola Company makes a Good Deeds Calendar that can be used to cultivate seeds of kindness and harvest good deeds throughout the year. After all, harvest happens more than once a year.